ALINK Insurance Services understands the need for value based insurance that protect individuals, families, and businesses. Our unique ability to deliver on the four components of value; strong relationships, comprehensive coverage, superior service, and competitive pricing sets us apart from other agencies focused on commoditized, impersonal, volume driven sales models. 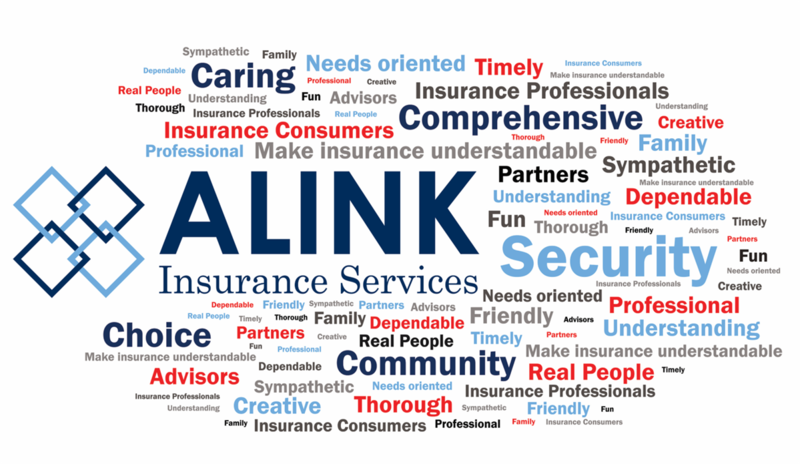 ALINK’s insurance professionals and independent structure allows us to offer insurance package options customized to meet the unique needs of each of our clients. The ability to compare your needs with multiple established and A-rated national insurance companies empowers you to make informed choices about your insurance coverage options and the price you pay. With our community based offices spanning the front range, we are positioned to deliver customized insurance services across the state of Colorado and are also licensed to do business in Nevada, Utah, Arizona, Texas, Illinois, Wyoming, Idaho, and more. Serving businesses and households since 1959, our commitment to the principles of hard work, service, education, integrity, determination, & unwavering dedication to our clients have proven our ability to withstand the test of time. Our focus on these principles allows us to do what we do best, providing clients customized and comprehensive insurance solutions to meet their unique insurance needs. As a full service Trusted Choice® Independent Agency, we offer Auto, Home, Business, Life, & Professional insurance services. Our insurance experts are committed to provide personalized attention and exceptional service, creating an experience that is difficult to find in today’s markets.